When we think of a detective the first thing that comes to mind is an investigator, either a member of a police agency or a private entity. However there are unique detectives within the multifaceted arena of medicine. 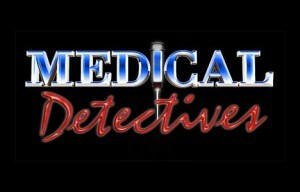 All though we might already think of most doctors as detectives there are special doctors, units, working at the National Institute of Health’s (NIH) undiagnosed disease program. Doctors such as William A. Gahl at the NIH are disease detectives that try to elucidate the causes and genetic basis involved in the hundreds of unsolved and mysterious diseases that arise each year. Dr. Gahl who was interviewed for an article in scientific American explained that his group has accepted 400 out of 1700 special cases of unsolved disease. The selection process of these cases is tough, determining which cases are new diseases and if there is a possibility of determining the genetic and biochemical basis of the disease. As each case is worked mutations are identified that are associated with each disease. But Dr. Gahl States that this is only the beginning of the puzzle. The challenge becomes to identify the genetics with the pathology. Dr. Gahls’ group has been working on a case in which a patient has endured pain for approximately twenty years and muscles of their legs have turned as hard as bricks limiting mobility. It was determined that the patient had a rare condition in which their blood vessels bore a thick coat of calcium that restricted blood flow. One of the first steps taken in the study was to examine the parents of the patient. The parents after examination were healthy, which lead the group to believe that the patients’ disposition might be due to a recessive mutation. Meaning that each parent had only one copy of a unique mutation but upon having children probability lead to the patient receiving two copies of the mutation. After an in depth study Dr. Gahls’ group identified the location of the mutation and the error prone gene associated. The gene that was identified is NT5E. NT5E is involved in the production of the nucleoside adenosine (which is involved in a number of biochemical processes). To examine this gene closely doctors cultured the patients skin cells and inserted the normal gene of NT5E and even introduced adenosine alone into the cells and miraculously they observed a reduction in calcification. Through this analysis a better understanding of adenosine in the regulation of calcium has been brought to light. However Dr. Gahl explains that there are a number of reasons why patients cannot just receive adenosine, but there is a class of osteoporosis drugs that pose as good candidates for treatment and they are waiting to see how these drugs perform. Print article This entry was posted by Jermel Watkins on October 31, 2011 at 8:52 am, and is filed under Your Genes, Your Health. Follow any responses to this post through RSS 2.0. You can leave a response or trackback from your own site.